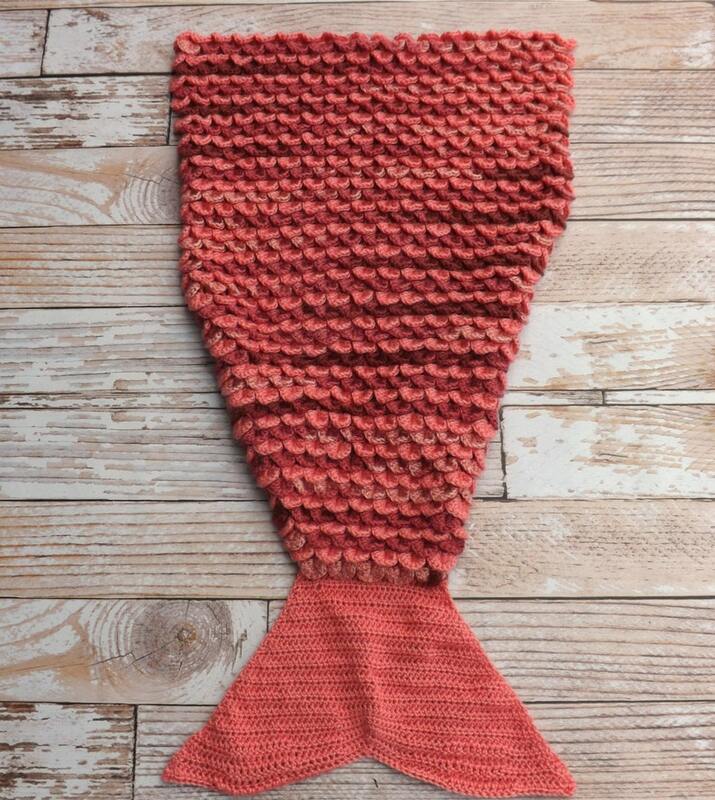 Mermaid tail blankets are the hottest trend this season, and every little girl wants one of these blankets this Christmas. Make in a single color, or use two or more of your daughter's favorite colors. This listing is for the pattern only. Please contact me if you wish to purchase a finished blanket. This crochet pattern is intended for intermediate to advanced crocheters. A working knowledge of the crocodile stitch is required. This pattern uses Caron Simply Soft yarn and an H hook. You will need approximately 1500 yards of yarn for this pattern. I recommend using Caron Simply Soft yarn, but any worsted weight yarn will work. COPYRIGHT 2015: Jen’s Tangled Threads Patterns are written under copyright. Patterns are not to be copied, sold or distributed.